DEREK Mackay has secured his third Holyrood budget, by 67 to 58, thanks to support from the Greens. Leave aside the usual party-political claims and counterclaims. What macro effects will the Budget have on the Scottish economy, given the proposed numbers? The cash allocated to revenue spending (called the Fiscal Resource) will grow in real terms by 1.8 per cent 2019-20 over the current year, according to an independent analysis by the Scottish Parliament Information Centre (SPICe). Capital spending on infrastructure will also rise by a handsome 12.8 per cent in real terms – a serious shot in the arm for economic growth in 2019-20. The uplift in revenue spend has more to do with unexpected Barnett consequential flowing to Holyrood as a result of the recent UK Budget, rather than from tax increases. The extra Barnett money results from Chancellor Hammond loosening his austerity purse strings a little (as a pre-Brexit bribe) by borrowing more than originally intended. The capital spend is boosted by a decision to borrow the full £450 million limit allowed by the UK Treasury. This is the third year in a row Mackay has used this borrowing facility. But this takes him ever closer to the £3bn borrowing limit imposed by Westminster. Taken together, this boost (revenue and capital) is debt funded and so represents a Keynesian, positive boost to aggregate demand in Scotland that will feed through to growth. The independent Scottish Fiscal Commission estimates Mackay will raise an additional £68m in Scottish income tax, relative to what would have been raised if all thresholds had risen in line with inflation. That’s a modest amount of fiscal drag and anyway gets spent in the Scottish economy. Ditto the rise in council tax which will go straight back into local economies, and so doesn’t reduce overall demand or growth. With Brexit playing havoc, it is too early to tell what precise impact this net spending boost will have on GDP growth. But it will be positive. More to the point, we now have a Budget for 2019-20. To my mind, the damp squib in the Scottish Budget is the failure to do anything definitive regarding local authority funding reform – except for a welcome commitment to a tourist tax. 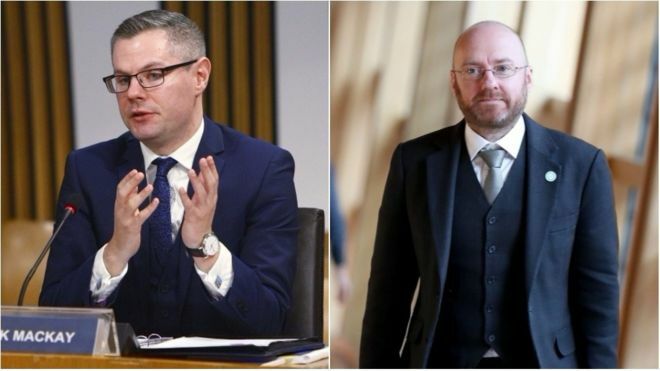 Ostensibly, the Greens offered support to the SNP Budget in return for a common front to scrap the council tax and introduce a more progressive and decentralised system of local finance. We’ve been here many, many times before. The first SNP minority government (2007-2011) tried, failed then abandoned a plan to introduce a local income tax. The following, majority SNP administration (2011-2016) was too busy with the independence referendum to risk a second round. So it kicked the issue into touch with a Commission on Local Tax Reform. This published its final report in January 2016 which was promptly binned. The third SNP government tweaked Council Tax bands – to screams from the opposition parties – and there the matter rests. The truth is that the opposition parties will oppose – opportunistically whatever scheme the proposed consultation comes up with. Nor will the consultation come up with anything new. We are still in the long grass and the grass is growing taller. The SNP and Greens together have a majority at Holyrood. They should just get on with it. The time for a land tax is now. I am a space and sci fi nerd. I know Dan Dare’s middle name was McGregor because his ancestor fought with Bonnie Prince Charlie. I know the first space ship was built by Dr Lachlan McKinnon (in The Lost Planet by Angus MacVicar). And Scottie was chief engineer on the Enterprise. So I was fascinated to read the report from the UK Space Agency – the Westminster government promotional body – that space sector in Scotland is “punching above its weight”. Scotland hah 18 per cent of the sector’s UK jobs. There are 132 space companies north of the Border, “supporting” (a suspicious word) 7,542 jobs, with an annual income of £140 million. There you have it: a total revenue base of £140m is tiny. I’m excited Scotland has a foothold in a growing, hi tech sector. But let’s not get carried away. Scotland’s extra-terrestrial presence is small beer. True, the potential market is enormous. A recent study by Morgan Stanley estimates the current size of the global space industry is circa $350bn in annual revenue. It could be double that by 2040. If we want to be in the space business, let’s specialise rather than romanticise. Most of the Holyrood budget goes to pay the wages etc of not far off a million public/semi-public sector employees and to keep the mainly (UK) public sector trade unions content. Other than that I don’t see a “boost to the economy”. Scotland would need to dramatically expand our exports to grow the economy, as Fraser of Allander Inst and others have stated. And for that we would first need a decent well located port in the central belt (i.e. Forth) and high quality ferry/shipping connections with the continent in particular to carry that trade competitively (i.e. lost cost port and transport services are crucial otherwise trade cannot flow). Scotland hasn’t built a new advanced port in the central belt for 100 years or more and I don’t see one in this budget. So where is this “boost to the economy” coming from? Trucks have been allowed to travel through countries with sealed trailers for many years without being stopped to ascertain their cargos. There is no reason why this should not continue with Brexit should Scotland become independent. That would mean that trucks could still travel through the channel ports for onward deliveries to Scotland without further custom controls. Long distance land transport (road and rail) for freight per mile is more expensive than long distance sea transport per mile in large part because land transport does not enjoy the same economies of scale as sea transport which tend to increase the longer the distance involved. A dependence on long distance land transport therefore makes Scotland less competitive than other comparable regions of Europe. We should also factor in land transport congestion (road and rail) and limited capacity and poor quality of UK land transport infrastructure in the UK, plus a shortage of people who want to be long distance truck drivers. Scotland is located at the end of supply chains which is therefore increasingly difficult and expensive to reach. Brexit will make this even worse. I would add that adverse weather effects also tend to impact land transport to a greater extent than sea transport, e.g. sea transport being less affected by rain, flooding, snow, ice, high winds (closing bridges etc), and even fog. Larger vessels typically sailing on longer North Sea have a very high reliability record, even in winter. All ‘peripheral’ maritime states in Europe enjoy frequent ferry connections with the European continent, except Scotland. For Scotland a daily high capacity high quality price competitive ferry connection with the continent is not just something that would be nice to have, it is something we badly need to have. I think you have reported on the immediate economic likelihood of the budget. However, I think that your key comes in the other parts of the ‘deal’ which is about local government and land taxation. I think it is the latter which can transform the economy and, probably, free some of the land that would be needed for things like housing and, say, Alf Baird’s proposal for a new modern port. It is possible that such a move could get support from some within Labour provided the visceral hatred of the SNP does not get in the way. As someone who has always split his Holyrood votes between SNP and Greens I am happy to see collaboration. By the nature of its key policy – an independent Scotland – it is a coalition of interests around that theme and so has more inertia with regard to radical change than the Greens, which, currently, being smaller is more coherent and focussed in policy and, if it can use its position in the current Parliament to shift policy towards its position I am reasonably happy with that. I understand the reality of Holyrood politics and that every action, no matter how effective, is routinely opposed. There is a majority to be had for a land tax. First regulate and register land ownership then raise local taxation on it. Should be supported by SNP & Greens. Seems eminently sensible to me. Raise oodles of extra cash from land sitting in land banks and contributing nothing; raise more from sporting and private estates that currently pay little or nothing. Of course the Tories and their pals in the media will scream, Labour will probably abstain as they are incapable of decision, they like shafting the Tories but hate any benefit to the SNP. Council Tax is long past its sell by rate. Get on and do it. In saying again that they may revise Council Tax is it not time that the Scottish Government did something to reign in the huge inefficiency and corruption that plagues so many of our councils. This is the elephant in the room that no one talks about and an elephant that councils will hide at every opportunity. From senior executives weighing themselves in with extra pension contributions, to mates rates contracts to selected contractors, to the theft of materials and to downright wilful wastage, is it not time that councillors were provided with a centrally funded resource that could be called in to support them in chasing down waste and corruption. Contracts handed out by Scottish Councils run to many billions of pounds but very often there are little or no proper checks on what is being given out. Variations to contract are also often given for claimed variations that any other organisation, save for a public sector funded council, would not pay. And all the while the bleat is the bad Scottish Government are keeping them on short rations. Rotten councils were the legacy of the Labour party. However, since the SNP have been in power they seem to have done nothing about the problem. So why not a central government body of skilled specialists who at the request of councillors, and in relation to specific issues, could come in to a council and review what has been going on. That support would empower councillors who do not have the resource or capability to challenge what they are supposed to be in charge of and who are all to often led a fool’s dance by senior officers. Tell the people everything is all right, that they are getting best value, that it is party AY or Z who are delivering, and everything will be all right. There always more money for the council slush and Derek and Patrick have just given them some more courtesy of increased council tax and a tourist tax. Public service properly run for the public is a good thing. So why not a governmental body of specialists. In fact you could spin it that it would help CEO’s and senior executive officers to understand their own organisations. And yes, independent of Council management! The answer to undoubted council mismanagement is to break them up. Not to multiply the bloated bureaucracy but to make them smaller and run by volunteer councillors that are answerable to their local communities. Raise taxes locally and spend them locally. Decide on what is wanted and raise the cash to pay for it using a land tax. There is nothing more effective than voters looking over your shoulder. Don’t know if I agree Dougie that voters looking over your shoulder will keep things straight. Procurement as an example is, or should be a process. It can be technical and it can be complicated. Procuring a school, a road, an IT system, street lighting, a new recyclate processing combined heat and light, the myriad of service contracts or the disposal, acquisition and or securitization of land or property. Not sure how voters could dovetail into keeping these matters on the straight and narrow. The supervisory oversight could be as illusory as the current Councillor oversight. But councilors, ordinary people especially whistle blowers know a bad smell, and it is for precisely that reason that specialist support, independent of council management should be made available. Councils produce the same, indeed more opaque reporting than some of the private sector – and of course the private sector is better at protecting itself against fraud. But yes, smaller can sometimes be better, and then sometimes much worse. All with duplicate layers of management, buildings and infrastructure there is another debate there. You’re right that things like procurement are both costly and complicated but at present we make a pig’s ear of it 32 times over. Some things do need the economy of scale and should be centralised. Other things presently put out to contract are better done locally. Helensburgh has just spent several million on the public park but it is little changed; it still has knotweed and rampant rhododendron. Half a dozen good employees with a little council owned equipment would have done a better job and would be able to maintain it and the rest of the town. The money spent is probably wasted as there will be no maintenance. This is just 1 small example and I could cite half a dozen others just in helensburgh. We spend lots on infrastructure and nothing on maintenance. Present local government everywhere. The crazy thing about the whole rigmarole of fixing a budget is that the opposition, because of their intransigent attitude towards the ruling party, have little say what so ever in the finished result. I would have thought that the logical method of obtaining a budget that would be agreeable to all the politicians, would have been to sit down together and thrash out something behind closed doors that was acceptable to all parties and then present it to the Scottish Parliament as an acceptable policy that could be enacted. Perhaps Scottish citizenship and Scottish nationality (i.e. 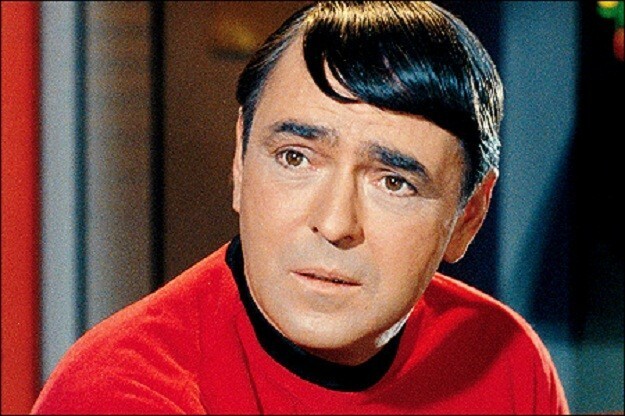 independence) does not seem logical to unionist misologists? I’m quite partial to a wee bowl of miso now-and-again, but I would’ve preferred a nice SGE. You seem awfully confident that Britain’s English Tory imperialist elites controlling the alleged UK political ‘union’ (in which Scotland, as signatory to the Treaty, has no veto?) and implementing its longstanding austerity programme are always mindful of the “citizens of Liverpool Cardiff Glasgow etc”. Is your ‘unionist’ logic based on reality? Or as Cambridge Analytica might suggest, is your (‘unionist’) vote based largely on emotion?